Lyon, the absolute epitome of gastronomical France, is famous for its outstanding cuisine and features many tasty local specialities and stylish bistros. Capital of the Rhône Alpes area, Lyon is sandwiched between two powerful, winding rivers and features more than its fair share of Renaissance-style buildings and classical French architecture. Within Lyon, you can also expect to find a flourishing university complex, a superb selection of shops and plenty to enjoy at night. 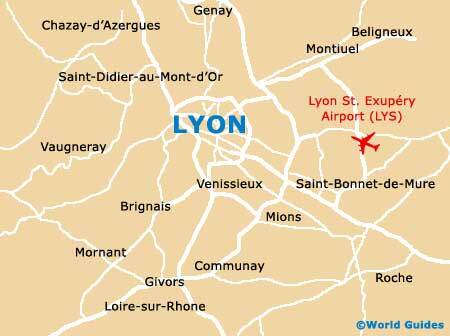 An important area of commerce, banking and industry, Lyon is a particularly attractive city. Lyon has much to offer, boasting riverside walking trails, innumerable areas of green, and an impressive historic old town district, which has gained the prestigious title of World Heritage Site. Old Town Lyon is brimming with cobbled streets and medieval buildings, being split into the three alluring quarters of St. Georges, St. Jean and St. Paul. 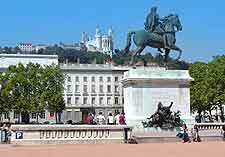 When you first arrive in Lyon, visit the Tourist Information Centre on the enormous public square of the Place Bellecour. 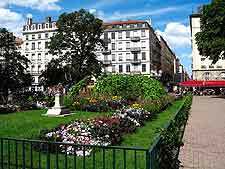 With information about the main areas of tourism and tourist attractions within the city's nine municipal arrondissements, this office ensures that you make the most of your time in Lyon. 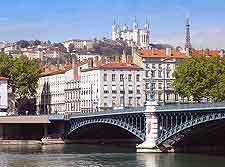 A city brimming with tourist appeal, Lyon has many excellent attractions worth visiting. When here, be sure to look out for the Cathédrale St. Jean - dating back to the 12th century and known for its unusual astronomical clock; Ampithéâtre Gallo Romain - enjoying a hilltop setting and built during the reign of the famous Roman Emperor, Tiberius; Atelier de Soierie - where you can experience Lyon's ancient tradition of silk weaving; Institut Lumière - celebrating the early days of cinematography, with evening screenings and a number of historic cameras; Aquarium du Grand Lyon - located on the city outskirts and overflowing with exotic marine creatures; and also the Parc de la Tête de l'Or - the biggest park in the whole of Lyon, featuring its own zoo and a large lake. 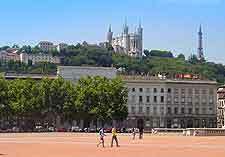 More information about Lyon Tourist Attractions. Around Lyon you will find countless outstanding historical landmarks, many of which have played an important part in shaping the city as we know it today. Particularly impressive in the rather unusual 19th-century Basilique Notre-Dame de Fourvière church, the beautiful Bartholdi Fountain in the centre of the Place des Terreaux, the tearooms at the Lyon Opera House, the narrow passageways known as the Traboules de la Croix Rousse, the massive public square of the Place Bellecour, and the imposing Tour Métallique, which is often compared to the Eiffel Tower in Paris. More information about Lyon Landmarks. Those with an interest in history and fine art will enjoy a trip to one or more of Lyon's main museums and splendid art galleries. Celebrating the history of silk making in Lyon, the Musée des Tissus is full of information about the city's impressive textile history, while the Musée des Beaux Arts (fine arts museum) is not to be missed and home to a huge collection of paintings and other impressive art works. For historic information about the city itself, the Musée Historique de Lyon is hard to beat and also features an area dedicated to puppetry. 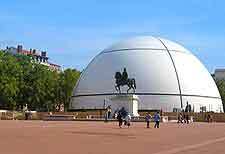 More information about Lyon Museums and Lyon Art Galleries. Close to Lyon is a range of tourist attractions which have become excellent day trips, often best reached by car or bus. Nearby, many people staying in Lyon choose to visit the medieval town of Crémieu, where its 15th-century market and château remains are definite highlights. Other popular excursions include the charming town of Vienne, the well-preserved village of Pérouges, the peaceful Monts du Lyonnais mountains, and the Roman treasures at St. Romain-en-Gal. More information about Lyon Attractions Nearby.